The GE GTWP2250D features the HydroWave quiet agitator wash system with a longer, slower travel for a gentle, thorough cleaning. Handles various fabrics and soils with 13 wash cycles. PreciseFill will automatically measure the load size and add just the right amount of water. 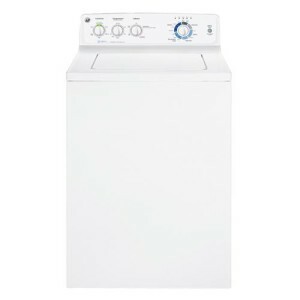 Fast speeds remove more water during the spin cycle to minimize drying time.